Seaview Buick GMC is your local Lynnwood Seattle Buick GMC dealership. We are proud to offer a wide variety of new vehicles to Seattle and Lynnwood customers. We also provide Buick Service and Genuine GMC parts and accessories. Use our contact page to view address, phone number, and hours of operation information. We carry the latest Lynnwood Buick GMC models and provide you with Buick factory rebates, GMC incentives and offers. Stop by today and talk to a sales professional to see how easy it is to purchase a new Buick or GMC from Seaview! 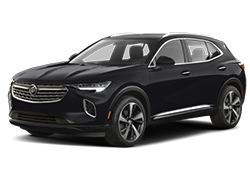 If you are looking for a Seattle Buick GMC, Everett Buick or Everett GMC dealer, our full line of vehicles is just one click away at our Lynnwood Buick GMC dealership. 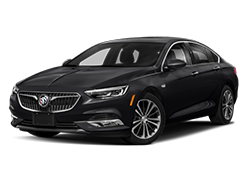 When you have found the vehicle you are looking for, please contact us and come visit us in Lynnwood to test drive one of our new Buick or GMC Trucks. Or, if your interest is in a quality used car, truck, or SUV, Seaview Buick GMC is your destination. Customers come from the surrounding areas of Seattle and Everett to look at our inventory of used vehicles. Remember, trade-ins are always welcome. 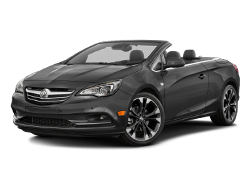 As a new or used car buyer, you have got plenty of Buick GMC dealerships to choose from in this beautiful state of Washington. With that in mind, your best choice is Seaview Buick GMC in Lynnwood. Why? Seaview Buick GMC has been family-owned and well established in the Seattle community for decades. What’s more, the dealership has a reputation that is as pristine as the new and used vehicles that we keep in stock. Talk to one of our experts about the new Buick or GMC models. Find out what's on our lot today, what's coming soon and what features are most important to you. Interested in a used car? Every used car and truck we carry has been fully inspected and are completely detailed, making them the cleanest looking used cars in the Everett and Kirkland area. 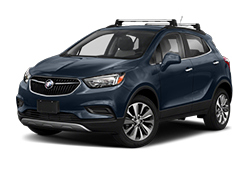 Seaview Buick GMC is centrally located just west of I-5 in Lynnwood on Highway 99, so it’s an easy drive from Seattle, Kirkland, or Everett. Regardless of your buying desires, Seaview Buick GMC is well-equipped to meet your needs. There are over 250 new and used vehicles on site at any given time, and we are constantly adding to our new and used car and truck inventory through trade-ins and dealer networking. Looking for an Acadia or an Enclave? 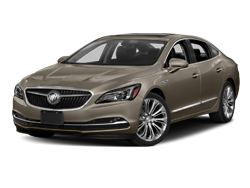 How about the fuel efficient Buick LaCrosse? Need a truck for work like a heavy duty GMC Sierra? 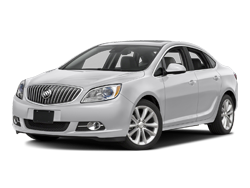 At Seaview, we have a huge selection of Buicks including the Regal, Verano, and Encore. And if you are in the market for a GMC, we have an extensive selection of the Savana, Terrain, and Yukon. Customers in Washington state have been praising Seaview’s broad selection for many years. Seaview Buick GMC’s huge inventory is just the beginning. Our flexible financing options allow our customers to find their dream car that is within their budget. Whether you are single, starting a family or buying your student's first vehicle, Seaview Buick GMC has you covered. Our sales and leasing consultants are always on-site ready to meet you and assist you in finding the car or truck that suits your needs. The excellent customer service experience does not end in the showroom, either, and Seaview Buick GMC understands that. That’s why free lifetime oil changes are offered with the purchase of any of Seaview’s vehicles. 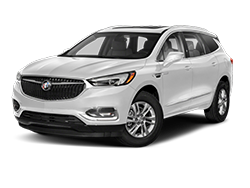 The bumper to bumper warranty on all most Buick purchases is 4 year/50,00 miles and 6 year/70,000 miles powertrain warranty. For many GMC models, our customers are covered by a 5 year/100,000 mile limited powertrain warranty. Our service department is unlike any other with a facility that is comfortable, spacious and is open hours that are convenient for you and your family. We know you can’t wait to get into your new Buick or GMC. Visit our showroom at 17909 Highway 99 Lynnwood, WA 98037 and our friendly staff will start you on your journey to a truly one of a kind car buying experience.